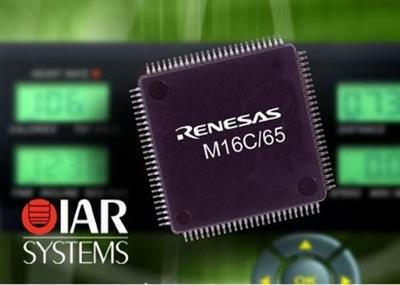 IAR Systems releases a new version of its development toolchain IAR Embedded Workbench for Renesas M16C and R8C. Developers working with microcontrollers based on these cores will now benefit from working with IAR Systems' new user-friendly editor and source browser, as well as several new debugging features and integration with the version control system Subversion. IAR Embedded Workbench is a set of highly sophisticated and easy-to-use development tools for embedded applications. It integrates the IAR C/C++ Compiler, assembler, linker, librarian, text editor, project manager, and C-SPY Debugger in an integrated development environment (IDE). With its built-in chip-specific code optimizer, IAR Embedded Workbench generates very efficient and reliable FLASH/PROMable code for the Renesas M16C and R8C MCU. In addition to this solid technology, IAR Systems also provides professional worldwide technical support. A flexible mechanism to invoke external analyzers for project files. This is typically used as an interface to static analysis tools like PC-lint. Custom argument variables can be used in the IAR Embedded Workbench IDE whenever there is a need for a macro-like expansion that depends on the current context. This could for example be in arguments to an external build tool. Two new C-SPY ShiChuang have been added to easier manage C-SPY macros. The Macro Registration window controls which macro files are loaded and the Debugger Macros window shows a list of all macros available in the debugger. IAR Systems provides developers of embedded systems with world-leading software tools for developing competitive products based on 8-, 16-, and 32-bit processors. Established in Sweden in 1983, the company has over 46,000 customers globally, mainly in the areas of industrial automation, medical devices, consumer electronics, telecommunication, and automotive products. IAR Systems has an extensive network of partners and cooperates with the world's leading semiconductor vendors. IAR Systems Group AB is listed on NASDAQ OMX Stockholm.